One thing I see over and over (both in emails from readers and in discussions on the Bogleheads forum) is that people don’t know what information they need to provide in order to get assistance with their Social Security claiming decision. In some cases, that simply means that the person providing the assistance has to request additional information. In other cases, however, it can mean that an important fact is not considered in the analysis and a poor decision is made as a result. What follows are the pieces of information that are necessary in order to make an informed decision about when to claim Social Security. Whether you have any reason to think that your life expectancy is significantly longer or shorter than average for a person your age. And, if you are married, you will need to provide those same pieces of information regarding your spouse. Do you have any children under age 18, adult disabled children, or dependent parents? Do you (and/or your spouse) qualify for a pension from work you did that wasn’t covered by Social Security? And if so, what is the monthly amount of that pension? Will you (and/or your spouse) be working between the ages of 62 and your full retirement age? (Or between the ages of 60 and your full retirement age, if you are a widow/widower.) And if so, how much do you expect to earn per year? Have you had a marriage that ended? And if so, how long did it last, did it end as a result of divorce or death, and what is the PIA of that prior spouse? If you are a widow(er) and have remarried, at what age did you remarry? 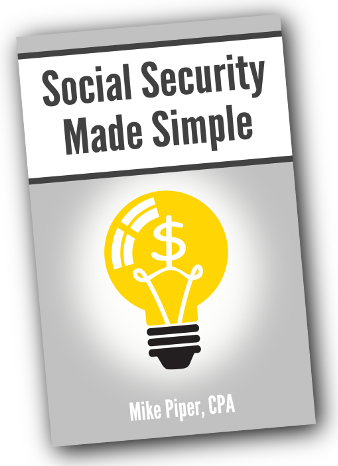 One important thing to note about the above situations is that they are often overlooked by the online Social Security planning calculators. If one of the above situations applies to you and the calculator you’re using doesn’t ask about that information, then the recommendation from the calculator is likely to be very flawed. Social Security: Should I File and Suspend Before 4/30/2016? I’ve been getting a lot of questions from readers this month about the upcoming “file and suspend” deadline. So let’s go through this one final time, as succinctly and clearly as possible. First, let’s make sure we’re clear on the deadline itself, as there has been a lot of misinformation on that topic. If you request suspension of benefits by 4/29/16 or earlier, the old rules will apply to your request. If the SSA receives your request to suspend benefits on 4/30/16 or later, the new rules will apply. If you meet all of the following requirements, it likely makes sense for you to file and suspend (i.e., file for your own retirement benefit and ask to have it suspended) prior to 4/30/2016. Three: You want somebody else (e.g., your spouse) to be able to receive a benefit based on your work record prior to the point at which you actually start receiving your retirement benefit. Or you want to preserve the ability to retroactively unsuspend later as a “change your mind” strategy. *In the world of Social Security, you “attain” an age on the day before your birthday. Do Vanguard Funds Have Hidden Costs? Every typical mutual fund (index or otherwise) has “hidden costs” as a result of portfolio turnover. That is, when a mutual fund buys or sells investments, it incurs costs in the form of commissions and bid/ask spreads. And these costs are hidden in the sense that they are not included in the fund’s reported expense ratio, despite the fact that they have a downward drag on performance. It’s much easier to estimate an index fund’s turnover costs than an actively managed fund’s turnover costs. In other words, relative to the hidden costs of actively managed funds, the hidden costs of index funds are typically a) less hidden and b) lower. The reason why index funds typically incur lower portfolio turnover costs than actively managed funds is simple: index funds generally have a lower rate of portfolio turnover. For example, Morningstar currently reports that Vanguard Total Stock Market Index Fund has annual portfolio turnover of just 3%. Look up any handful of actively managed stock index funds, and the most likely outcome is that all of them will have portfolio turnover well in excess of 3% per year. With regard to the advisor’s assertion about Vanguard specifically, it’s worth pointing out that, in many cases, Vanguard’s index funds actually trail their benchmarks by an amount that’s less than their expense ratios. In other words, the hidden costs are sufficiently small that they are outweighed by the “hidden revenue” the funds earn from securities lending.